Empty Weight Guessing at around 500 lbs. Service Ceiling Try your best! Range 80 miles - with the wind at your back. 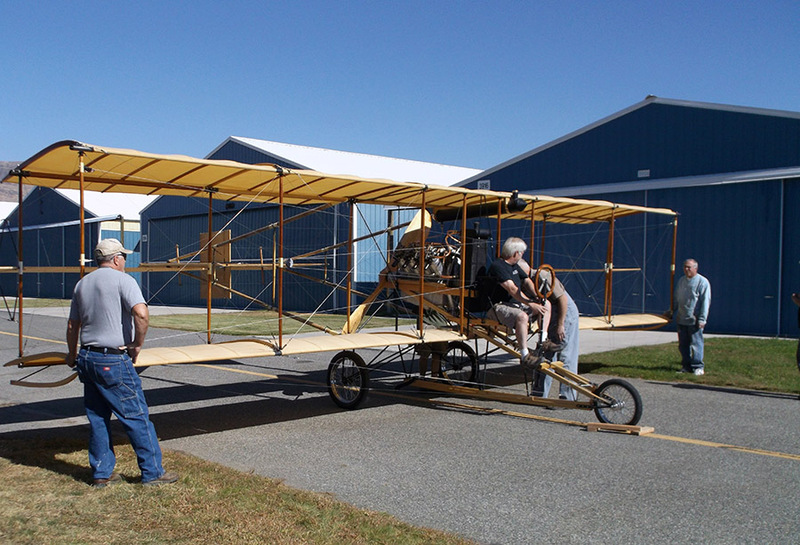 The Model D was an early US aircraft, and among the first aircraft in the world to be built in any quantity. 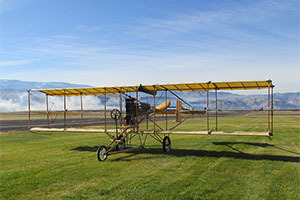 It was based on Glenn Curtiss' Golden Flyer design of 1909, itself derived from his June Bug of 1908. The Model D could be bought with one of several Curtiss engines: 40, 60 or 75 horsepower. It was the basis for one of Curtiss's most famous achievements - the first amphibian airplane capable of landing on and taking off from land or water. aircraft industry. Curtiss began his career building bicycles. Mastering the day’s best technology, he moved on to create intricately designed motorcycles. Testament to his ingenuity was his ability to make the most efficient parts from crude materials. For example, his first motorcycle sported a powerful carburetor fabricated from a tomato soup can with a gauze screen. In 1907, Curtiss raced his V-8 motorcycle to a speed record of 136 mph. 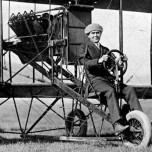 His success in engine design propelled him into aviation. 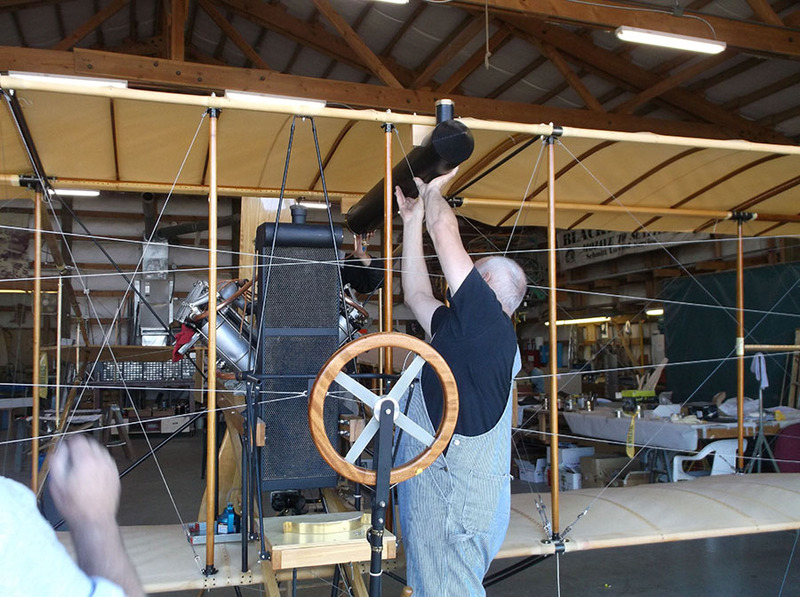 Original Pusher parts and engines were thought lost to history until the Collings Foundation came across some remarkable treasures; 84 original Pusher airframe parts, ribs and spars in a Massachusetts attic and an OX-5 engine in a Pennsylvania basement. This launched an extraordinary restoration effort.